###LUXURY TRAVEL Private Jet 2017 Hi-Perform Car Rally above the Arctic Circle! ###iLand Luxury Travel by Private Jet offers ultra-exclusive Northern Lights Adventure... rally car race on an ice track in the middle of the wilderness! 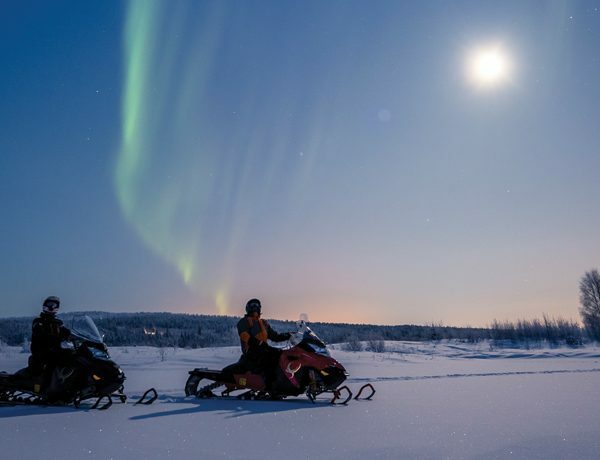 Dogsled and Snowmobile Safari in the ultimate remote lands. Private Jet from London to above the Arctic Circle. A Luxury Travel Experience like no other on earth! Who gets to do this? Only a handful of wealthy, adventurous people who want only the Best of the Best and the most unique experiences that can be found on our planet. If you are looking for a lifetime achievement reward for yourself, look no further! Experience the absolute ultimate in the Soul of the Arctic by private jet. Have your very own Aurora Observation Dome a complete bedroom with bathroom & sauna….what could be more exciting and romantic!! Witness the Aurora Borealis (Northern Lights) in pristine wilderness and crisp fresh air. Dogsled, Snowmobile, Reindeer sleighs. Have privileged interaction with Shamans and their reindeer herds. How do you get here? Travel to and from the Arctic Circle by Private Jet, the ultimate with iLand Luxury Travel! Our own Chef’s prepare sumptuous meals for you. What is the itinerary? Start with an exclusive evening at Windsor Castle in the UK. Luxury Travel at its best! Insider Access, very discreet, can say no more about this privileged experience! The next morning fly by private jet to your lodge in the heart of the Arctic Circle. Get comfortable and cozy in your very own dome complete with bedroom, sauna and full en-suite. The next days are full of activities. Snowshoeing, cross-country skiing both instructed and led by expert guides. Arctic Picnic Lunch, snowmobile foray into the wilderness. Travel to meet indigenous reindeer herders, the Sami people. They will lead you into the forests, introduce you to their culture and authentic way of living. Have a thrilling time driving a high performance car on the ice track! Before you try your hand behind the wheel the Champion racing drivers will introduce you to the track and give you expert instruction! Test your winter driving skills on your Snowmobile and go on an Arctic Expedition Treasure Hunt! Travel by snowmobile to a magical concert in an ice temple. Fly by chartered plane to a frozen sea fjord and fish through the deep ice for giant crabs. Your Private Jet brings you back to London where your luxury hotel awaits. Bid farewell to your fellow adventurers. Call iLand Luxury Travel and start working on your next Adventure of a Lifetime!